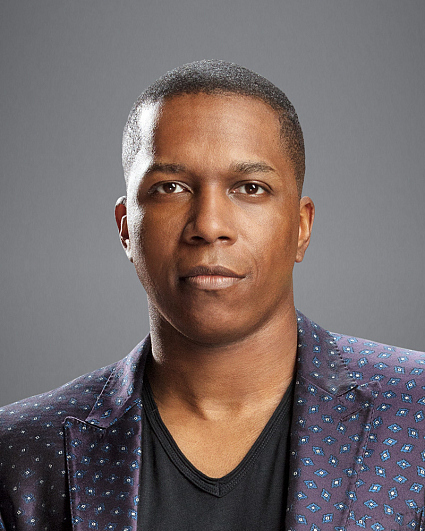 One Dollar Cast: Leslie Odom Jr.
Tony and Grammy Award-winning performer Leslie Odom Jr. has taken the entertainment world by storm across a variety of media, spanning Broadway, television, film, and music. This last spring, Odom Jr. added the title of “author” to his resume with the release of his book, Failing Up: How to Take Risks, Aim Higher, and Never Stop Learning. Written in the style of a commencement speech, the book brings together what Odom Jr. has learned in life so far, tapping into universal themes of starting something new, following your passions, discovering your potential and surrounding yourself with the right people. Failing Up is about unlocking your true potential and making your dreams come true even when it seems impossible. The book was published by Feiwel & Friends, an imprint of Macmillan Publishers, on March 27. Odom Jr. will next be seen starring alongside Freida Pinto in Only, from writer-director Takashi Doscher. The film follows Eva (Pinto), who might be the only female left on Earth. After a mysterious plague threatens to kill every female on the planet, the lives and relationship of a young couple, Eva and Will (Odom Jr.), are put to the ultimate test as they try to survive the disease and the dangerous people who want to hunt her down. In December 2017, Odom Jr. returned to the New York City stage in a solo concert at Jazz at Lincoln Center. The cabaret-style performance was crafted around signature songs and music that shaped this artist’s journey, all performed with a world-class band in front of a live audience. The show was filmed for broadcast as an hour-long PBS special as part of the 17-time Emmy Award-winning series “Live from Lincoln Center,” and it premiered on April 24. A Grammy Award-winning recording artist, Odom Jr.’s self-titled debut album was part-funded by a successful Kickstarter campaign and released in 2014 by Borderlight Entertainment, Inc. In June 2016, the album was re-released with additional material and charted at #1 on the Billboard Jazz chart and #147 on the Billboard 200. In winter 2017, he re-released Simply Christmas as a deluxe edition with new arrangements and new songs. The holiday album hit #1 on iTunes and Billboard Jazz Charts. Best known for his breakout role as Aaron Burr in the smash hit Broadway musical Hamilton, Odom Jr. received a 2015 Drama Desk Award nomination and won the Tony Award for Best Actor in a Musical for his performance. He also won a Grammy Award as a principal soloist on the original cast recording. He made his Broadway debut in Rent and starred in the stage adaptation of Leap of Faith. Off-Broadway he appeared in Venice and the original staging of Hamilton, both at the Public Theater. Also, he starred opposite Lin-Manuel Miranda and Karen Olivo in a 2014 City Centers Encores! revival of Jonathan Larson’s Tick, Tick…Boom! Recently, Odom Jr. was seen on the big screen starring alongside Johnny Depp, Daisy Ridley, Penelope Cruz, Michelle Pfeiffer, and Judi Dench in Kenneth Branagh’s Murder on the Orient Express for 20th Century Fox. Previous film work includes the 2012 historical drama Red Tails, executive produced by George Lucas and co-starring Terrence Howard, Cuba Gooding, Jr., and David Oyelowo, among others. On the small screen, Odom Jr. starred on the cult-classic musical drama Smash, created by Theresa Rebeck. He had recurring roles on NBC’s Law & Order: Special Victims Unit and CBS’ Person of Interest and CSI: Miami, and made guest appearances on such shows as The Good Wife, Gotham, and Showtime's House of Lies. Currently, Odom Jr. resides in Los Angeles with his wife, fellow actress Nicolette Robinson, and their baby daughter.